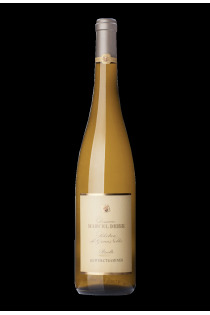 The Domaine Marcel Deiss is located in Bergheim, in the heart of the Alsatian vineyard. It is the fruit of the work of a family of winemakers who settled in the village since 1744. Founded by Marcel Deiss, the estate is now managed by Mathieu Deiss, who has perpetuated the tradition and philosophy of the house. 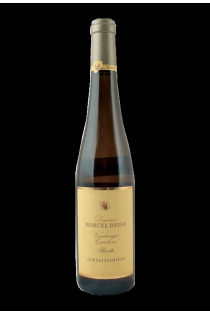 In all, the domaine Marcel Deiss represents twenty-seven hectares of vines, spread over nine communes. The vines are grown in biodynamic agriculture. Mathieu Deiss has taken over from his father, and like him he is convinced of the benefits of companionship. This technique is based on the mixing of several grape varieties on the same plot, in order to obtain a better expression of Alsatian terroirs. It is in fact a very old form of viticulture. Indeed, the different grape varieties have been mixed for centuries on the Alsatian vineyard, leaving a great biological diversity in the vines. 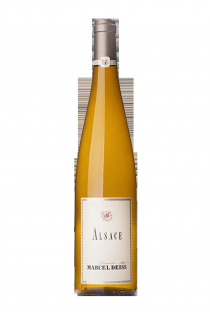 It is the appearance of the name of the grape variety on the AOC wines of Alsace that gave the name of the grapes to the heart of the Alsatian vineyard. Obligatory for a time, it is now optional, which allows the vignerons who wish to practice the compaction. In the Domaine Marcel Deiss, many cuvées of the terroir range bear the name of the place where they were born rather than a grape variety. The few wines from the estate from a single grape variety are from the "fruit" range. The range of "time and patience" includes late harvests and the selection of noble wines. The Altenberg of Bergheim, the Mambourg and the Schoenenbourg are wines of terroir designed by complantation and considered as the three Grands Crus of the domain. These great wines testify to the success of the complementation which deserves to be closely followed.